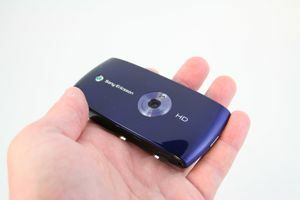 Sony Ericsson fields an 8.1 megapixel shooter with S60 5th Edition under the hood. Despite its potential, the Vivaz has problems. If you're the touch-happy, I-need-a-killer-camera-phone type, then Sony Erisson's 8.1 megapixel packing Vivaz could fit the bill. If you plan to use it as anything beyond a networked camera, however, the Vivaz is sure to disappoint. The Ring Pro video doorbell is smaller than the original, shoots higher-quality video, and offers lots of under-the-hood software advancements that boost performance across the board. If you want to keep tabs on your front door, the Ring Pro has you covered in more ways than one. The latest smartphone from OnePlus is an attractive, affordable premium device. The OnePlus 5T is the latest handset to adopt the 2:1 aspect ratio and offer a dual-camera array. Symbian needs to get their act together. Ever since the 5800 (Tube), reviewers and consumers have been critical of S60 5th Ed. I believe that many of these criticisms could have been addressed in minor updates, yet the Symbian Foundation has failed to do so - instead they rest on their laurels as the market-share leader. Even Symbian fans' websites are being abandoned because of the stagnant state of the OS. These are sad days for Symbian, and I can't believe they don't see the writing on the wall. --the S60 browser is garbage. I guess it's down to two OS's if I want a great web experience: iOS4 and Android. You can still download a better browser, cant you? So what's the big deal?